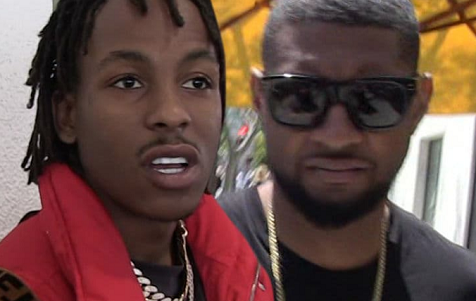 Rich the Kid and his entourage came under attack Tuesday afternoon at a famous West Hollywood studio, where Usher was also recording. Multiple shots were fired - possibly as many as 10 - during the incident at Westlake Recording Studio according to eyewitnesses. The man who opened fire was running away from the studio when he started shooting behind him. Law enforcement sources say Usher was in the studio, but not hurt. Rich was outside when it all went down, and it appears he was the target of the robbery. Multiple entourage members were also attacked, and at least one bodyguard was badly pistol whipped. L.A. County Sheriff's deputies later swarmed the studio and surrounded the vicinity searching for suspects and collecting evidence. It's unclear if anyone was hit when the shots were fired, but the suspect or suspects made off with a ton of cash and jewelry. Usher was later seen leaving the studio UNHURT.